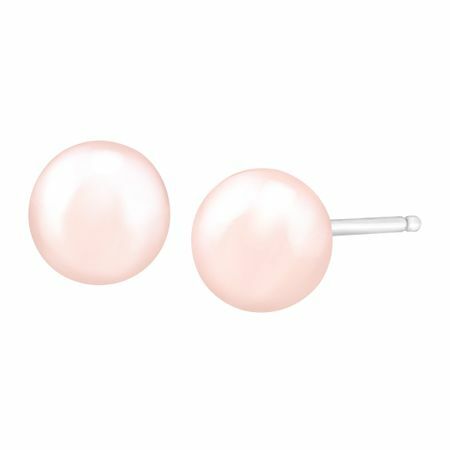 You'll be pretty in pink in these petite pearl earrings. This pair features 5-6 mm rose freshwater pearls in 14K white gold. Pieces measure 1/4 by 1/4 inches.